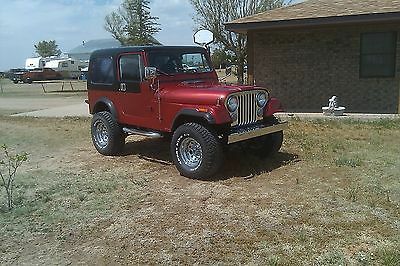 For sale is a 1985 Jeep cj7 Laredo that has had a recent off frame complete restoration. 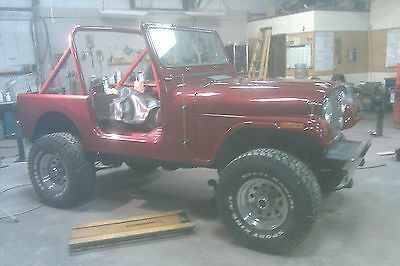 (see pictures) rebuilt motor , new clutch, rebuilt Transmission new brakes, power steering, New gear box, tilt wheel that was rebuilt, cold air works great. Factory jeep radio works great. Jeep has on board air with air lockers on both front and rear axles. (see control in picture) Dual stick transfer case shift. 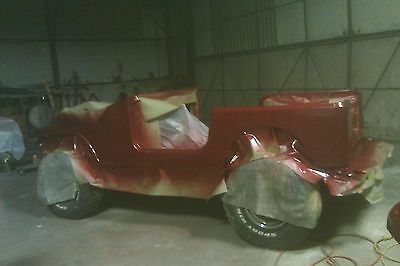 This jeep has no rust and has been sprayed underneath and on inside floor with Rinoliner before carpet was installed. Top of the line carpet kit, new 35 inch tires , lift kit, chrome Nerf bars. 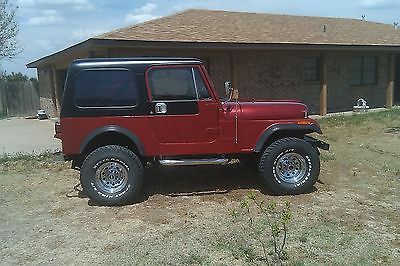 This is a really nice near perfect jeep. this project took me about 4 years to complete working on it as I had time. Might consider trading it for a really nice 5th wheel travel trailer.